For as long as I could remember, I've always loved going to a library. There is always an excitement when stepping foot into a library - the clean smell of an air-conditioned room, the sight of rows upon rows of books promising an escape to a foreign or magical world and the calming silence broken only by the sound of turning pages. 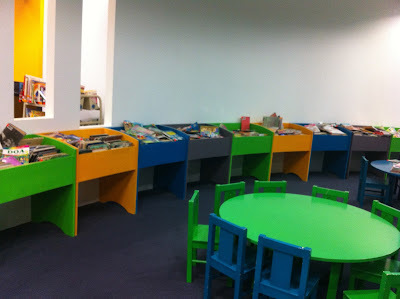 Half of my childhood was spent in the small neighborhood library where my sister and I devoured all the story books in the kids section, so much so that the librarians still asked our mom about us even today. It's like, 'How are your girls doing nowadays? 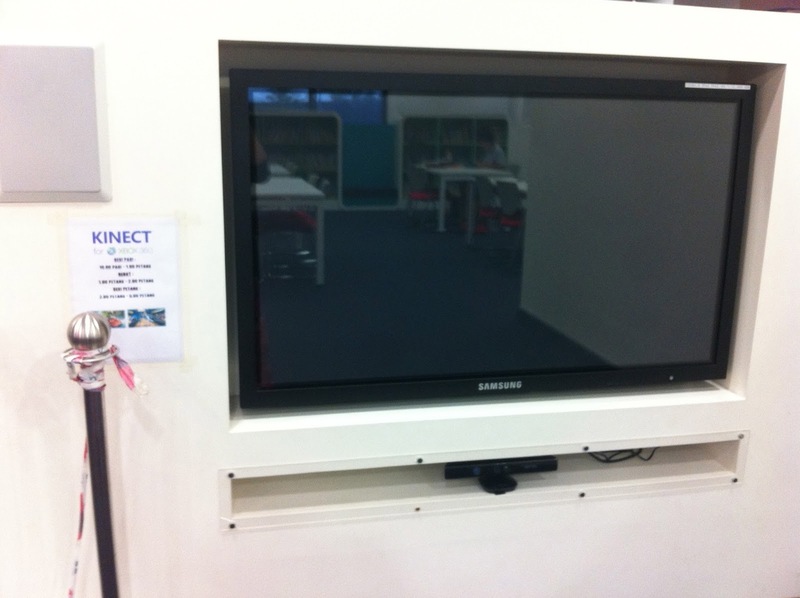 They used to come to the library every day after school last time.' My reputation as a bookworm still lives on. My favorite story books back then were Enid Blyton's, Snow Spider (Jenny Nimmo), Diana Wynne Jones' (especially 'Magicians of Caprona'), The Boy in the Bubble (Ian Strachan), Mary Hooper's School Series and a series of books about school children written by a Singaporean author. Anyway, last weekend we spent the time at Perpustakaan Raja Tun Uda in Shah Alam since hubby said he wanted to study at the library. Another reason was because we wanted to escape the strong smell of haze that lingered in the house even though we closed the windows. Parking is quite limited as the library doesn't have basement parking and the open car park was quite full (probably because it is also revision week in nearby UiTM Shah Alam). We couldn't help admiring the modern glass architecture of the building. There is also a cafeteria with nice décor next to the library where we had a quick lunch before entering the library. 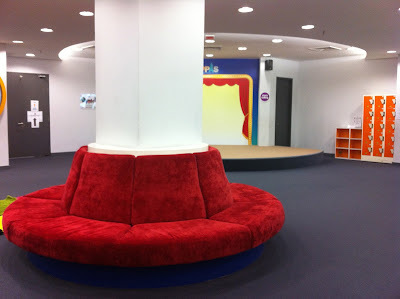 To enter the library from side entrance, visitors must remove their shoes and place them in the provided canvas bag (which you have to carry with you) as the library floors are mostly carpeted. Guess what, the library has a 6D theater! Unfortunately since we brought our small baby and toddler we couldn't go in to find out what a 6D theater is all about. I told hubby one of these days we MUST find a way to experience that! Luckily it is an artificial tree. If it was a live banyan tree, I supposed parents would forbid their kids from running around or sitting underneath it for fear of 'kena sampuk jin'! LOL! My kids also got so psyched up when they saw the tree. 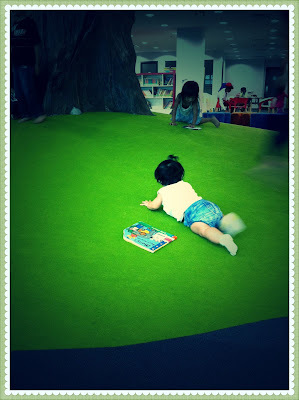 Since the 'hill slope' is covered with green carpet and the section is a 'no-shoes' zone, I could plonk my baby on it and leave her there without much worries, except that Khadeeja also became excited about bergolek-golek (rolling) down the hill! Khayla running around while Khadeeja crawled here and there! Parents can access Internet at RM1/hour while waiting for their kids. Jangan sampai leka, sudah! I think creating activity corners and activity rooms (where kids can play board games) is a brilliant idea. The only problem I observed is that there is no supervision, so some kids took the opportunity to hog the PCs, Kinect and whatsoever games provided while the more timid ones stood nearby watching with longing eyes! 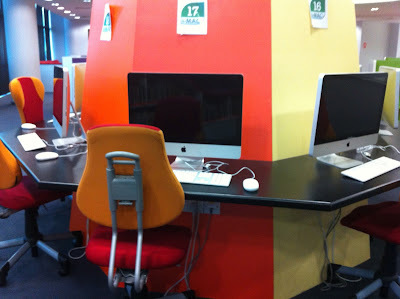 It would be better if they installed a token system where kids can get the token from the library counter and use the facility within a time limit. Once the time is up, the PC will log out / games will stop until the next token coin is inserted. That way, everyone has a chance to use the facility. 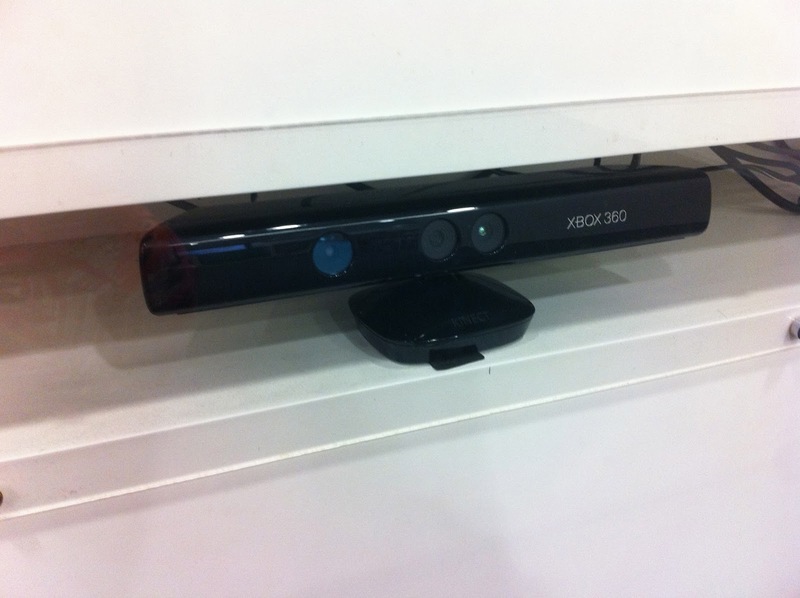 My brother is going to be sooooo impressed with this Xbox 360! Another observation that I made is because there is so many interesting high tech activities provided, kids became distracted from the main purpose of visiting the library (unless their purpose is to play games! ), which is reading books. Only a handful of kids could be seen reading books, some of them are also doing homework and revisions for the upcoming UPSR / PMR exams, while the rest spent the time frolicking around and playing computer games, Kinect and board games. Sadly, the books are also quite old, many with torn / missing pages. Knowing Khadeeja's destructive power, I tried to look for board books that will not tear / easily chewed by her. I only managed to find two or three of these kind of books though. Upgrading the books' collection (renewing old favourites or getting new titles in) or loaning access to e-books would certainly improve the service at the library. Still, the girls enjoyed their time in the library. 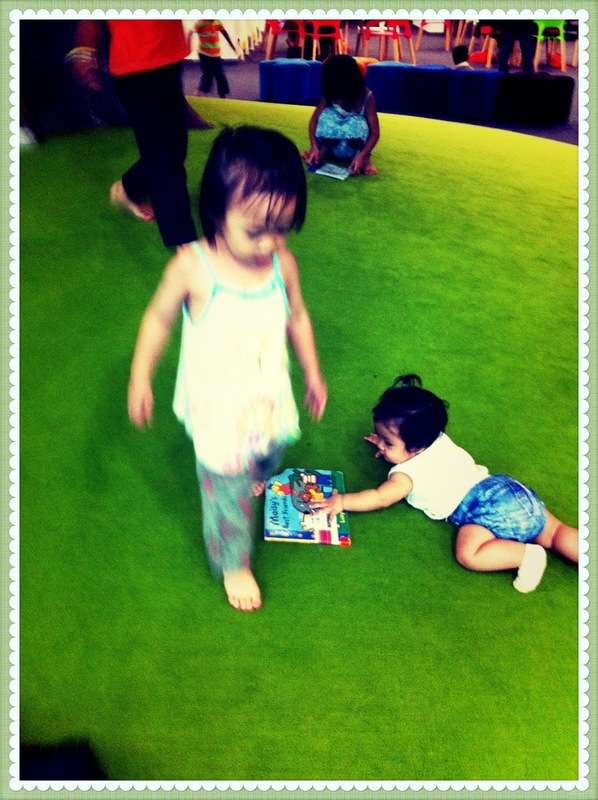 Khadeeja was amazed by the huge open space surrounding her that she didn't know where to begin crawling, LOL! 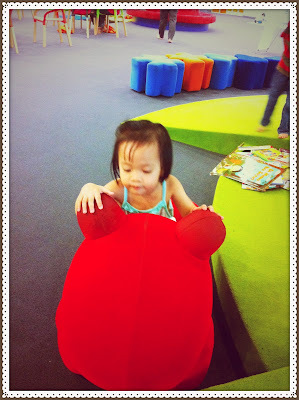 She was annoyed by other kids though, because they kept stopping to stare at her and kiss her chubby cheeks! Hmm… Where do I go from here? Khayla pulak, loved running around especially circling the tree and playing chase. Recently, she learned to make friends with other kids which is a huge relief to me. 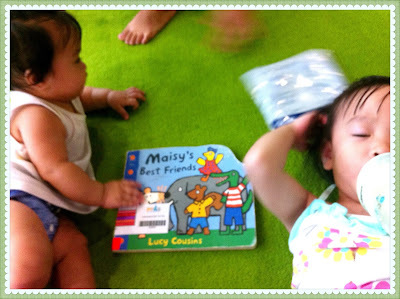 At the library, she befriended a slightly older boy and spent the time chasing each other. Fun time in the library! 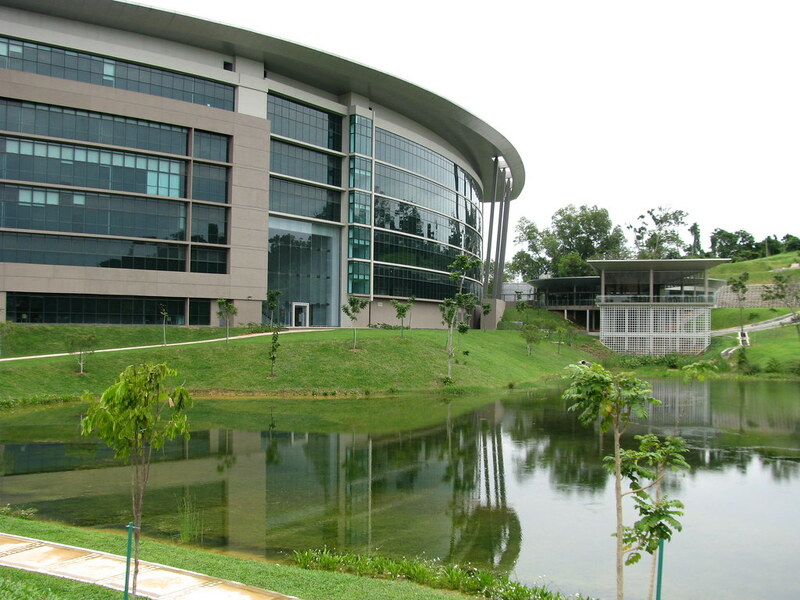 It's really awesome that Malaysia has a really nice library like Perpustakaan Raja Tun Uda. 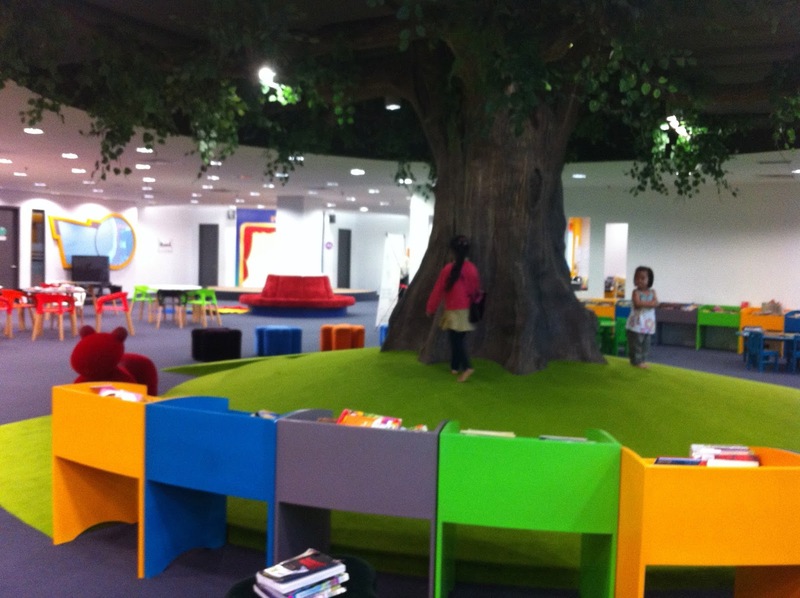 The National Library could take a leaf out of this library's book (no puns intended!) and provide the same facilities :) For me, I'm just glad that I have another "free" entertainment centre to bring my kids to! Best juak sio....pat pakei tido!